When you have a surname like Day, you can be king for a day, a hero for a day, but when you’re Jason after winning a major golf tournament, you have just had your Greatest Day. This is a rags to riches story, a sporting fairy tale that comes along once or twice in a generation, and is tinged with sadness. 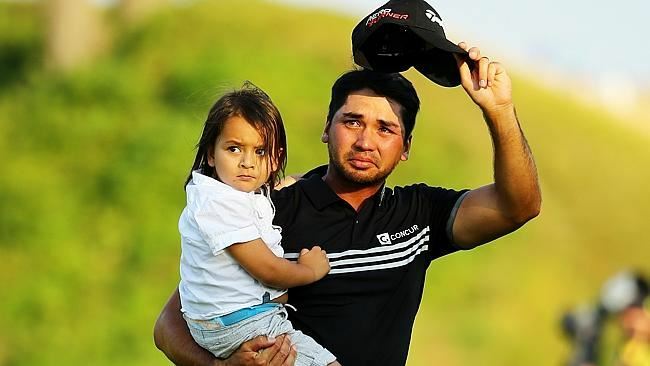 Jason Day was crying for the loss of his father, for the sacrifices of his family, for the deaths of eight relatives in Typhoon Hainan, in the Phiippines in 2013, and for his near misses on the golf course, including a bout of vertigo at the US Open, before his weekend win with a 20-under-par total – the lowest majors’ score in golf history — and beating number one Jordan Spieth, to boot. The final member of my Philly trio I happen to know better than the other two. Herb Magee is only one of four basketball coaches in the United States to have achieved more than a thousand victories in his career. He turned 74 in June and is now approaching his 49th year as head coach of Philadelphia University. He grew up in West Philadelphia, went to grade school at St Francis de Sales and was the star guard at West Catholic High School, alongside Jimmy Lynam and the late Jimmy Boyle, two more basketball legends. I knew his brother Ray, who died a few years ago, from our days at de Sales and West Catholic. Herb Magee grew up in a brick, porchfront row house at 45th and Baltimore Avenue in white middle-class, 1950s West Philly. Will Green profiled Magee in Sports Illustrated Magazine after his 1000th win: “When he was 12 his mother died of kidney disease and his father passed away after having a stroke. He and his three orphaned brothers were then raised by his uncle Edwin Gallagher, the chaplain of the Eastern State Penitentiary. Magee played basketball at West Catholic High School, where he developed a reputation as a prolific long-range shooter long before the days of the three-point line. He was known on the playgrounds as ‘The Flying Squirrel’ for his 5’10” stature and his running and jumping ability. Magee taught himself how to shoot by watching the mechanics of Hall Of Famers Paul Arizin, Tom Gola and Wilt Chamberlain, whom he saw when he hopped the fence in to Philadelphia Warriors games at Convention Hall with his friends.” http://on.si.com/1PAMb3A Actually, what we did was knock on a side door, and hand a 50 cent piece to an usher as we ran in. In those days, the Hall was never full, and the ushers didn’t get paid much. We can wait, Jason, we can wait.